By John Jacob Niles. Arranged by Cindy Blevins. Sheet Music Single. 9 pages. Published by Cindy Blevins (H0.316491-24266). 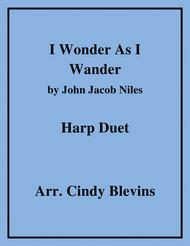 This download includes the score, Harp I and Harp II. The harp parts are two pages each. My harp duets are consistent in their configuration. Harp I part is the most difficult, and can be played on lever or pedal harp. Harp II part is generally easier, and lap harp friendly. 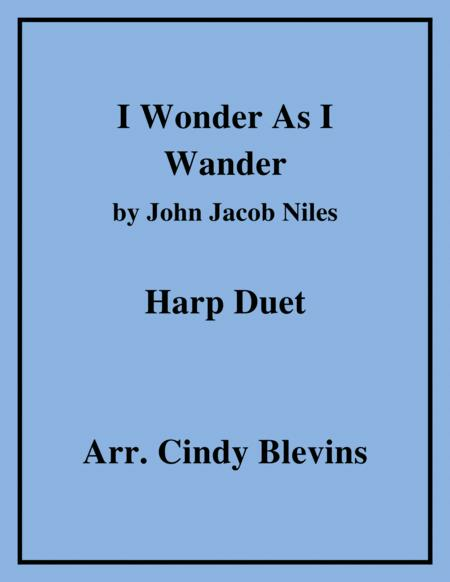 So this duet is suitable for student/teacher duet practice, and for almost any combination of two harp players. Or even an ensemble with several playing each part. The audio sample was digitally produced.